Probably my favorite parts of spring is when I plant seedlings to grow paste tomatoes. Who doesn’t love the look of the plants in the morning, fresh with an early hour watering? Personally, I love gauging my tomato’s growth every day, and waiting until the time they turn just perfectly ripe. So, out of all the tomatoes out there, why should you grow paste tomatoes? Well, because it’s one of the most versatile crops out there, and you’ll be pleasantly surprised how many different kitchen staples you can make from them. And I’m all about putting my effort into fruits and veggies that will yield the best results. Using paste tomatoes, you can make tomato paste (which can then be turned into soups, fermented ketchup, and more), as well as tomato sauce, salsa, and pretty anything else you can imagine. They’re juicy, like pretty much any tomato out there, but they also grow large, making preserving them easy and less tedious. Like other tomatoes, paste tomatoes should be started indoors about 6 to 8 weeks before the last frost date in your area. You can start them later as well, but make sure you can transplant them before it gets too hot. Otherwise, they might have difficulty getting established due to heat stress. 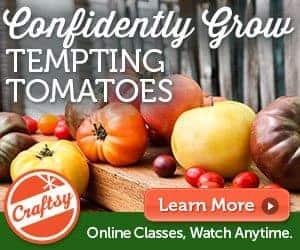 To successfully grow paste tomatoes from seedlings, first either make your own potting soil, or grab an inexpensive bag of organic potting soil as well as something to grow them in. When filling containers with soil, I like to use a spoon to actually put dirt in the containers – the potting soil doesn’t get too compacted that way. Place an indentation in the soil with your finger, a pencil, etc., then place 2 seeds in the indentation. Then cover with another spoonful of dirt. Instead of watering from above the plant, which can displace the dirt, I put my seedling trays in a plastic bin with about 1/4-inch of water. That way, the plants can self-water, and I don’t need to worry about over-watering, under-watering, etc. Use a seedling mat to promote germination (75 degree soil temperature is a good temp to shoot for), as well as a light if you don’t have access to a greenhouse with good sun exposure. Even in the dead of winter, a good greenhouse can get quite warm (when its 32 degrees on our farm, the greenhouse can easily be 50-60 degrees on a sunny day), so they’re a worthy investment if you plan to garden every year. Before transplanting them, however, be sure to get started off on the right foot…er…root. Add compost to the soil before transplanting your tomatoes, making sure to also plant some eggshells along with the transplants. Over time, as you grow paste tomatoes, the egg shells will decompose and provide a rich source of calcium for your plants. 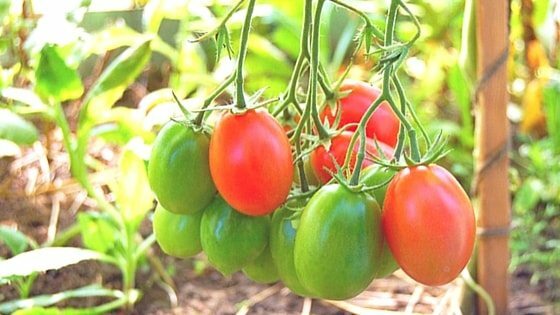 Grow paste tomatoes in at least 6 hours of direct sun to ensure a good harvest. Tomatoes are warmth-loving crops, so to protect them after transplanting in case of a cold snap, use a cold weather frame, cloche, or some other method to protect them. A gallon milk container with the wide end removed makes a good protector in a pinch. When transplanting, plant as much of the stem as possible below the surface of the dirt, making sure to leave 3 or so inches above the soil. Tomato stems below the surface of the soil will put out roots, which will give you a healthier plant. Another thing to keep in mind when you grow paste tomatoes is to not crowd your transplants. Spacing them out evenly means they’ll get better air circulation and sun exposure, which will reduce the chance of spreading diseases. Your plants will also be healthier. Blossom end rot is the bane of any tomato grower’s existence, and the extra calcium provided by the egg shells will help your plant combat this disease. So, what is blossom end rot? This disease strikes tomatoes that are calcium deficient – you’ll know your tomatoes have blossom end rot if you see a black mark on the skin of the tomato where the flower once was. Blossom end rot can start when your tomatoes are green, and eventually might make the tomatoes inedible. It won’t just strike one tomato – I’ve had it kill an entire harvest, although that’s not necessarily a given if your plants are effected. To avoid blossom end rot, also make sure to keep the soil evenly moist, especially in times of high heat. Blossom end rot can happen after periods of dry spells, then pouring rain. Give your tomatoes 1 inch of water each week when it’s not raining to help avoid this devastating disease. As your plants grow, pay attention to how they look. If the leaves start wilting or turning brown, you’ll know there’s a problem. 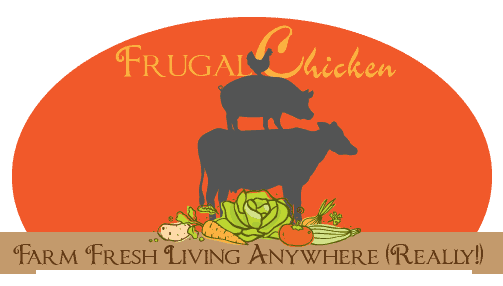 Cages aren’t just to give extra support – I’ve noticed that tomatoes that grow on the ground or whose branches fall to the ground are more likely to end up rotting on the bottom or be chewed by an animal (such as a chicken). Using a cage to keep the fruit off the ground will avoid both of these scenarios. There’s really nothing I hate more than putting out effort to grow fruit and vegetables, and to not have any harvest. Also be sure to provide your plants with a thick layer of mulch to retain water, especially during dry periods. The mulch will also keep weeds down, and if you use a dark-colored mulch or black plastic or landscaping fabric, it will absorb heat, and increase the temperature of the soil. Paste tomato plants will produce “suckers” which are growths where a leaf attaches to the stem. As the sucker grows, it turns into another stem. Pinching them off (removing them by either cutting or plucking the off) helps your tomato plant grow upright, promotes air circulation, and improves the size and quality of the tomatoes because the plant puts effort out into growing the fruit instead of the stems and leaves. Remove as many suckers as you can once a week or so to ensure the plant has a single stem. Now, one thing to remember with paste tomatoes is they’re indeterminate, meaning the plant produces fruit and ripens all season. Big harvest = a lot of work at once. At the same time, when it comes to paste tomatoes, you might get a few here or there, and not enough to make it worth dragging out the canner. If you find yourself in that situation, simply freeze what you’ve harvested until you do have enough. If you’re not sure how to can tomatoes, read my article about the basics of canning anything. It will take you step by step through what you’ll need to start canning as well as some safety information. Paste tomatoes are one of the most versatile tomatoes out there, and I think you’ll be surprised how many kitchen staples you can make from just one type of tomato. Do you think you’ll try to grow paste tomatoes? Leave a comment below! Probably my favorite parts of spring is when I plant seedlings to grow paste tomatoes. Here's how to grow them to make your own pantry staples (and save a ton of money).